I often hear that Japanese hospitals ask pregnant women to take regular prenatal checkups much more often compared to hospitals in other countries. This is exactly what I have been experiencing since last September. I am currently pregnant and my due date is in May. I have been going to a hospital near my house since last September. At the beginning of my pregnancy, the hospital asked me to come once every other week, and after 4 months of pregnancy, the frequency was once a month. But after 7 months of pregnancy, the frequency is back to once every other week, and after the 10th month, the hospital tells me I have to visit once a week until the baby is born. Visiting often the hospital is good. Every time I go, they do an ultrasound examination so I can see how the baby is growing inside my uterus. Also they often do blood tests or other examinations to make sure nothing is wrong with the baby. Hospitals take really good care of pregnant women but there is one problem. The cost of the hospitals is very expensive. In Japan the health insurance covers 70% of the cost when you are sick or injured. But the government does not consider pregnancy as an illness so the insurance won’t cover it. Instead of this, the government hands out special vouchers to pregnant women that you can use at the hospital. But even if you use them, you still have to pay quite a lot by yourself especially for the blood tests or other examinations. My husband is French and in France people don’t have to pay anything to go to the hospital so it seems hard for him to accept this Japanese system. 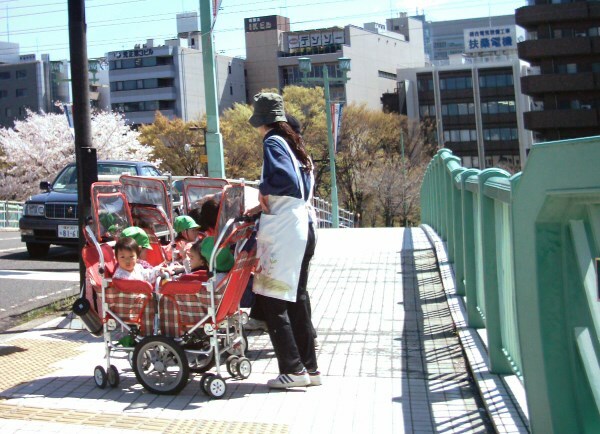 In order to increase the birth rate, I think the Japanese government should do more to support pregnant women.